Last week, I was at a writer’s conference and it was shooting day. I was on the range with a good friend and outdoor writer who’s also a really good shooter, we’ll call him Glen. He was shooting a 1911 compact with a Crimson Trace laser and having a bit of trouble. I was standing off the line and watching the bright green laser point on his target ten feet away. The laser beam would rattle around in the center of the target for a second or two and then plunge a few inches down and left as the gun went off. My friend is capable of shooting ragged holes at ten yards, and his group was all over the target. Occasionally a shot would make the center, but most were low and left. It was obvious he was frustrated because he’d shoot a few shots and then shake his head. Don’t think for a second that I’m blaming the laser for Glen’s problem. Every pistol I use for defensive carry sports a laser, because they add almost nothing to the weight of the gun and provide pinpoint accuracy in low light conditions, something that simply can’t be achieved even with Tritium enhanced sights. Instead, Glen’s problem stemmed from the fact that the laser was giving him more feedback than he could handle. The single most important part of getting accuracy from a pistol or rifle is trigger management. You simply have to pull the trigger without disturbing your hold, or you’ll never shoot accurately. When shooting off a rest, like a Lead Sled, or when anchored to the rifle shooting prone with a sling, trigger management might be a bit less critical. Trigger management is paramount when the gun is unsupported as in shooting a rifle offhand or a pistol without benefit of support. My friend, Glen, knows how to manage a trigger. He’s in law enforcement and has attended sniper school, finishing at the top of his class. He can also shoot a pistol. In fact, other than me perhaps, he was the most accomplished pistol shooter in our group of writers. Glen’s problem was that the laser was providing him with too much feedback on his movement and causing him to grab the trigger when the shot appeared to be perfect. With iron sights on a pistol, the normal wobble area at ten yards is about two inches. Good shooters hold quite a bit better and a novice or nervous person may cover twice as much target real estate. We can see that area when shooting with the iron sights on the pistol, but it appears much slower without the aid of a beam of green light that shows every twitch and bobble. Glen was holding as well as he normally does, but he could see all the movement of the beam and tried to compensate by pulling the trigger just as the dot was in the center. As a result, his normally fine trigger management went out the window and he splattered lead all over the target. The same thing happens when you shoot a high magnification rifle scope from standing. Off a bench, a 24 power scope on a rifle works fine. True, unless you have a perfect rest, you’ll see a little movement, but logically you know the crosshairs are only traveling a quarter inch or so across the target and there’s little stress. When you try to shoot the same scope when standing though, things go out the window fast. The apparent wobble area is distorted by the scope’s magnification; the gun seems to wobble over a half acre. The inexperienced tend to grab the trigger while the crosshairs are centered, and the jerky trigger pull causes the shot to go poorly. It takes a long time to get used to shooting high magnification standing. You have to teach your brain to accept the wobble and shoot in it. Even National Champions like Kent Reeve on the left have to deal with Wobble. 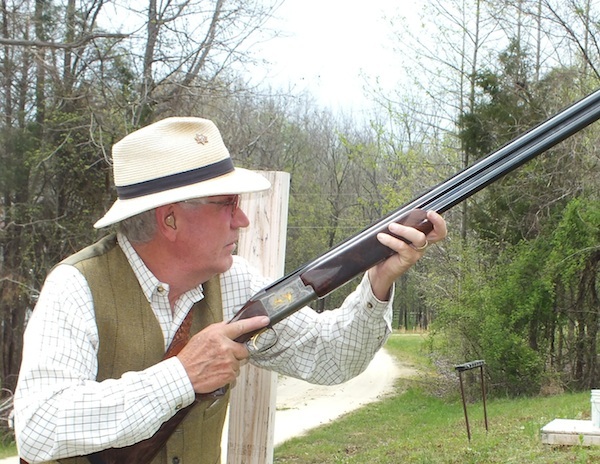 Practice reduces wobble, but there's no substitute for trigger control. Photo by Cherie Jones. 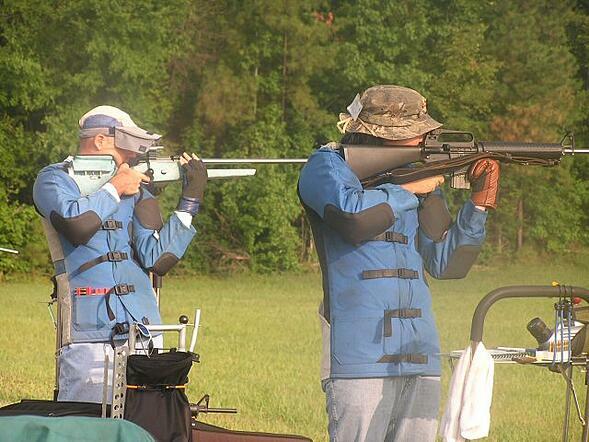 When I was competing every weekend, I could get away with breaking the trigger as it swung into center. My hold standing covered all the 12” black on the short range high power rifle target at 200 yards. As the gun moved towards the center, I’d increase trigger pressure and back off when it was going the wrong way; if the sights hung in the center, I developed the ability to bump the trigger while the rifle was centered. During this time, I was averaging about 195 in the standing stage of a match, meaning I was putting about three-quarters of my shots in the six inch ten ring. Today, if I try the tactic I was using then, I’ll probably launch a shot or two out in the eight or seven ring, but I was shooting a lot and could get away with being aggressive on the trigger. The most impressive tactic to illustrate the value of accepting wobble comes from a training method I’ve seen used several times. In pistol training with a student who simply can’t shoot good groups, the instructor tells the trainee to hold the gun on the target to the best of his ability while the instructor pulls the trigger. 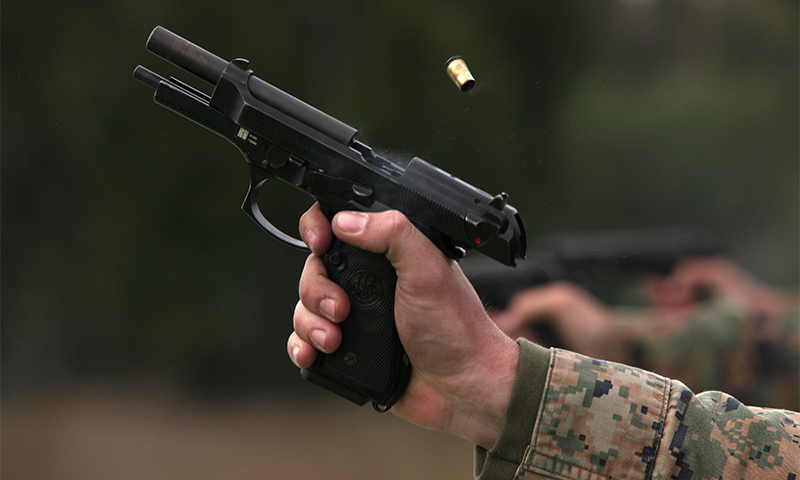 When the trainee is on target, the instructor puts pressure on the trigger until the gun goes off. The process is repeated for five or ten shots and almost always the group is much better than when the shooter controls his own trigger. Obviously, the exercise illustrates the value of trigger management, and even more important, it lets the trainee know his hold and sight picture are good enough, he just needs to pull the trigger without moving the gun. It’s human nature to try to get the best result possible, sometimes this means we grab for something that looks like it’s in reach when, in reality, it’s not. In shooting, you must accept your wobble area and do the best you can. More practice reduces your wobble area, but don’t forget that trigger control is far more important than hold, especially in unsupported shooting. The wobble is going to be there and you just have to accept it.